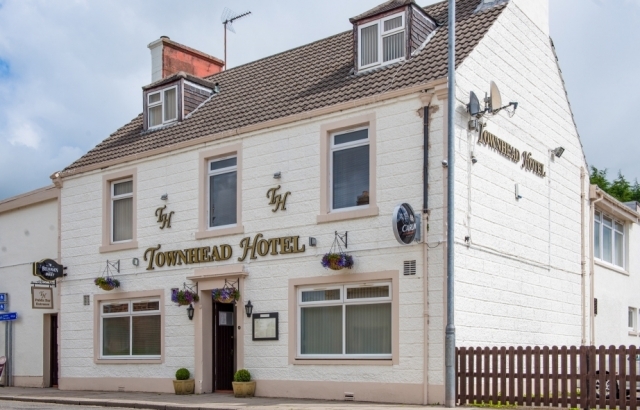 The Townhead Hotel is a well-established old-fashioned coaching hotel, in on the edge of Lockerbie within 2 miles of the M74 making it an ideal base to stay whether it be on business or leisure and has ample onsite free car parking available. In addition, if your arriving by train the hotel can organise a complimentary pick up from the station. The many attractions of Lockerbie such as, Lockerbie Garden of Remembrance, Eskrigg Nature Reserve, Dryfesdale Lodge Visitor Centre are all close by as are sporting activities ice rink, fishing shooting and golf. 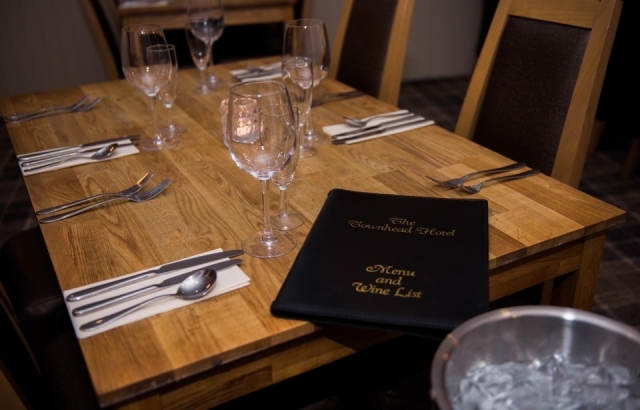 The Townhead combines a relaxed and homely atmosphere where the owner Stephen and his dedicated team will ensure you have a great visit. The bedrooms recently refurbished in a modern style are all en-suite with showers and have all the amenities you need including very comfortable beds, great desk space with power sockets, flat screen TV with Freeview, fluffy bathrobes and free wi-fi. 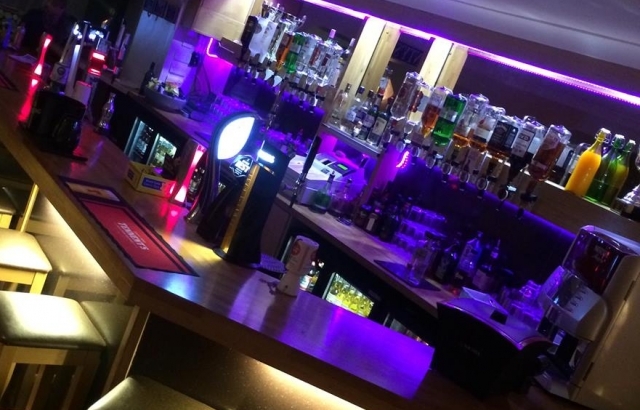 You will find the Bar is well stocked with a great range of drinks including local gins and is very popular and you can relax with the locals or watch sport on Sky. In the summer enjoy the beer garden and BBQ. 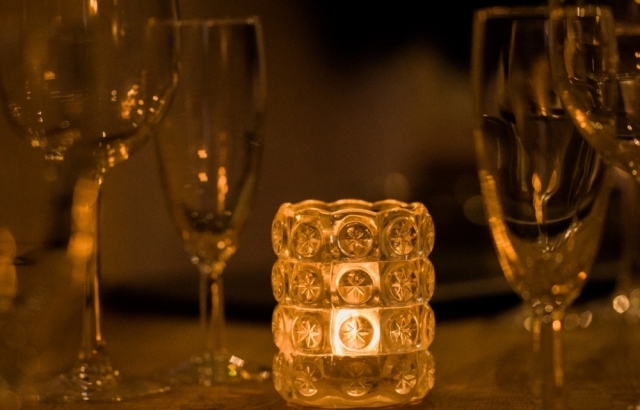 The restaurant is the beating heart of this business and the excellent fayre on offer is not to be missed. 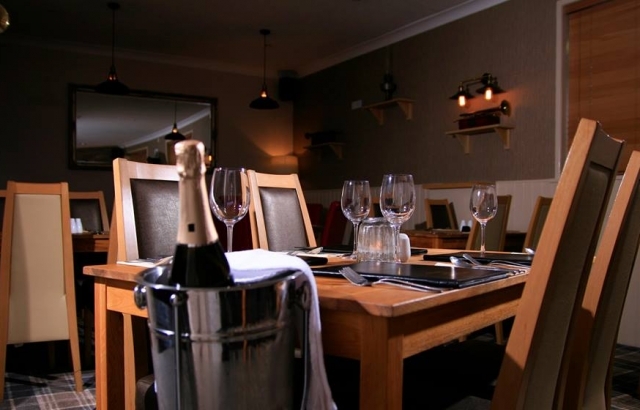 You can enjoy great food, including the pub classics from an extensive menu using the finest locally sourced produce, cooked and expertly presented by Mark and his team in the kitchen. If you are organising a small meeting or even the Hotel has a private room where you can enjoy the same great food and high standards of service. The warmth of the welcome and the friendly staff makes visiting this Hotel a real pleasure.